Instagram for Spirituality, Wicca Etc. June 1, 2012 Nefer Khepri, Ph. D.
Last year I was on the beautiful Hawaiian island of Maui for my birthday. 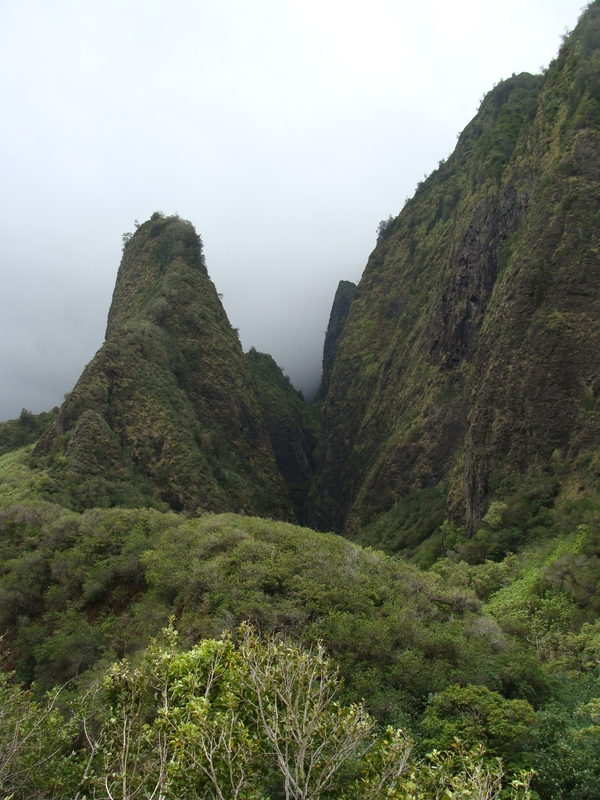 This is Iao State Park in Maui, one of my most favorite places on the planet. It is so serene & peaceful there, despite the fact that over 3,000 brave Maui warriors died there in a battle against the Hawaiian king, Kamehameha. My birthday is in June and today I instigated a couple of changes in my life. First, made the commitment to spend more time on my various art projects. I have quite a few, some of which have been languishing in a closet for years. Some are half finished and some are on the verge of completion. I was allowing everything to get in the way. Well, not any more! I also moved my blog from Blogger to WordPress today. I did this because I kept hearing on Facebook that WordPress blogs were receiving better placement in search engines, and personally, I like the cleaner look of WordPress blogs. Through tremendous trial and error my blog is now moved and older posts are also imported to WordPress. The hair pulling in frustration is now over, but if I could get the font to appear larger, I’d be soooo happy. My own blog is giving me eye strain! I have also made a commitment to do more fun things with my daughter. She’s 13 now, but in only 5 short years she’ll be off to college and beyond that a life of her own that will be independent of mine. She’s an only child so she is understandably spoiled, but she is a wise old soul and hasn’t allowed everyone spoiling her to ruin her. She’s a wonderful person. Today is her first day of summer vacation and she and I had a very enjoyable lunch out today with lots of laughter, and yes, I embarrassed her several times. Ah, so much fun! Finally, I made a commitment to my business, Magickal-Musings.com. I have been at my website since 1998 and I have clients all over the world now. I have done this all on my own without any outside help (and it shows at my site since I am HTML illiterate!) from anyone. I do tarot readings, perform candle work accompanied by prayers & affirmations for clients, as well as create spiritual artwork, & I also provide free information on a variety of metaphysical topics. I enjoy my work very much. I find it very fulfilling, even more so when someone takes a few moments out of their busy day to tell me how much one of my services helped them or how much they appreciated the information I freely shared in one of my articles at my site. Stuff like that totally makes my day. The final commitment I have made is to my business. I joined an online women’s forum to learn more about how to run a successful business. I think making a $99 investment in your business is a small price to pay for all that you can learn from Leonie at the Goddess Circle. I joined Facebook over 2 years ago and since then my business has really improved. Last summer was my busiest EVER. I was working every weekend in July and the first weekend in August. This was in addition to my regular Mon – Fri workdays. My workdays expanded from 6 hours to sometimes as long as 14 hours just so I could keep up with the demand. I’m not sure what this summer will bring. Magickal-Musings.com has been doing well this year already, but if it’s anything like last summer I know I’ll be in for one heck of a ride. A word on the background image of my blog. This is not my own photo, unfortunately! However, it was kindly lent to me by the photographer for personal use. The gifted photographer who snapped this wonderful picture is a very good Facebook friend of mine, Ruth Ibbotson. 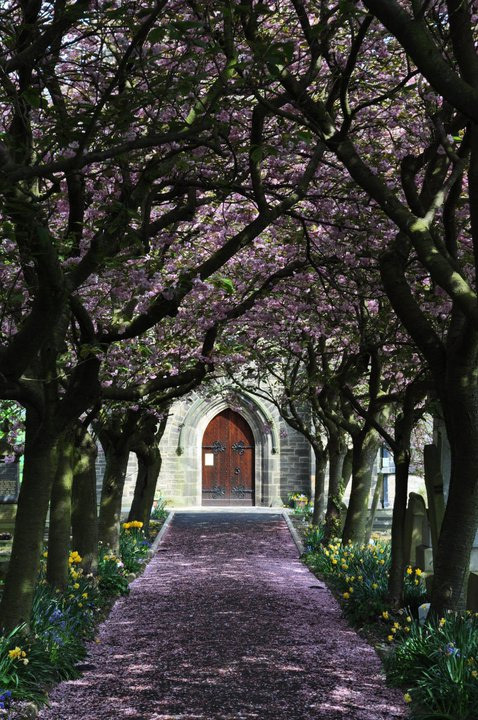 The picture is of a church door in Shelley, West Yorkshire, England. Isn’t it beautiful? I love the serenity of it, and look at all of those gorgeous shades of lavender. Thank you, Ruth, so much for the use of your photo. I very much appreciate everyone who has helped to make Magickal-Musings.com the success it is today. You have my eternal gratitude as you have afforded me the blessing of staying home these past 13 years to raise my daughter. I work only for myself so I have only myself to answer to. No nasty boss to deal with, no disrespectful employees (unless you count Sheila, our dog, who is very good at giving me LOTS of attitude!). I do realize how incredibly blessed I am. I appreciate you all so much! Please share with your friends. Thank you! Published by Nefer Khepri, Ph. D.
I am a professional artist & author of "The Egyptian Lenormand" (Schiffer 2015), "The Turtle Lenormand" (2015), & "Guidance & Inspiration From the Angelic Realm" oracle cards (2016). I am a practicing Wiccan Priestess with over 20 years experience with reading tarot cards, channeling, creating one-of-a-kind visionary art by commision, a reiki master teacher, wife & mother. I live in Houston, Texas with my husband & daughter. View all posts by Nefer Khepri, Ph. D.
I am the multi-award-winning artist behind "The Egyptian Lenormand." I am a professional Tarot reader with over 35 years of personal experience with Tarot & 50 years experience with the paranormal, a professional Lenormand reader, Reiki master-teacher, Wiccan priestess, & channeler with over 20 years of professional experience. I hold a Doctorate from The University of Texas, Austin. It is my goal that all who visit my site leave it feeling better than when they arrived. Please feel free to email me with any questions or concerns about my Services. Thank you for visiting. I wish you many blessings! ~ Dt. Nefer Khepri, Ph. D.